Here are two details from the Mná na hÉireann mural featured on Monday. The first shows three Derry women protesting the conditions in Armagh Women’s Prison and in the H-Blocks. 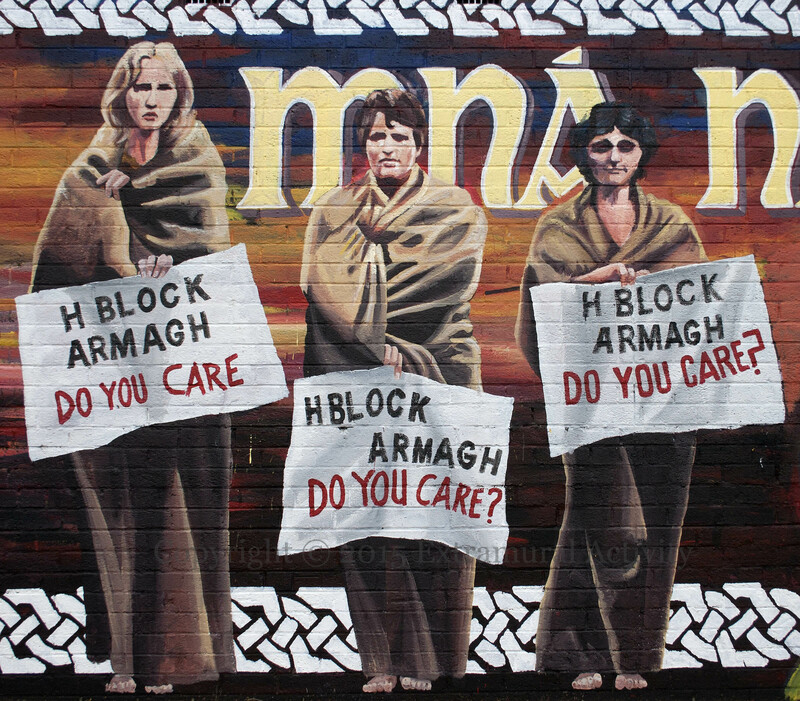 This article on Mary Nelis (the protester on the right, with Kathleen Deeny and Theresa Deery) describes the photograph (included below) on which this part of the mural is based. The women in Armagh prison were allowed to wear their own clothes and so were not ‘on the blanket’ as their male counterparts in the H-Blocks of Long Kesh were. However, they did engage in a “no wash” protest, which lasted from February 1980 until March 1981, and three of them – Mairéad Farrell, Mary Doyle, and Margaret Nugent – joined the 1980 hunger strike. 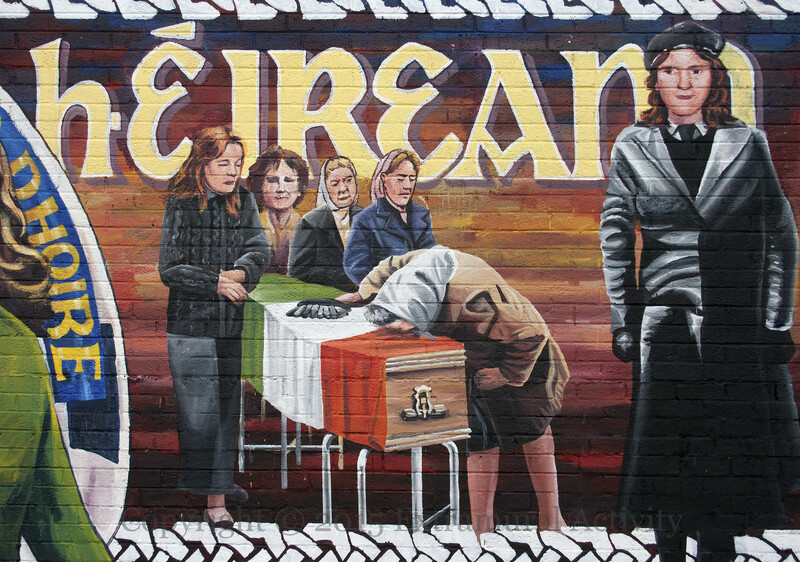 In the second image, below, grieving mothers, wives, and sisters stand over a coffin draped in the Irish tricolour with paramilitary gloves and beret on top.